Maulavi Mustafa Barakzai, born in Farah province, and appointed to the Electoral Complaints Commission by the Supreme Court, is a member of Afghanistan’s Scholars Leading Council. After his education at the Ashrafia Madrasa, Lahore, and the Daagi School of Islamic Science, Zala-e-Mardan, Maulavi Barakzai joined the Dioband School of Islamic science in India, focusing on Haddith, Quran interpretation and Islamic jurisprudence. He received a degree equivalent to a master’s in Islamic Sciences, Adjudication and Islamic Philosophy. Maulavi Barakzai taught different Islamic subjects for 15 years in the center and rural areas of Farah province, and has served as preacher and speaker in his home town. Press Release October 14, 2009 President Karzai does not accept Mawlawi Mustafa Barakzai’s resignation President Karzai has not accepted Mawlawi Mustafa Barakzai’s resignation and has asked him to continue his duties as member of Election Complaint Commission. President Karzai has written in Mr. Barakzai’s resignation letter, “With full recognition of your concerns and respect to your views, and appreciating your sincere services, I expect you to continue your duties. I consider this in the best interest of the Afghan nation and urge the Election Complaint Commission to make effort to address your concerns.” Mawlawi Mustafa Barakzai resigned as member of the Election Complaint Commission of Afghanistan for what he termed “foreign interference”. 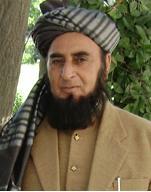 He speaks Pashtu, Dari, Arabic, Urdu and Balochi, and has traveled widely in Europe and Asia.